The Samsung SmartThings v3 hub is here, find out what’s new and if you need to upgrade your smart home automation if you already have the samsung smartthings hub v2 or smartthings hub v1. Use the smartthings app, or ifttt to extend your home automation system even further, great option if your booredatwork! Hi YoYo Tech, I have the Smarthings 2. I have also been considering getting a motion sensors for my house. Originally, from your previous video, I was looking at Aeon Labs Aeotec Z-Wave Multi-Sensor 6. 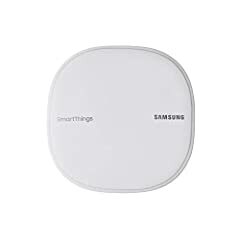 Or should I consider the Samsung SmartThings Motion Sensor. Would that work better with my smart things. Not to mention its a few dollars less. Smartthings Hub v3 is still one of the best ways to get started with home automation. Its a simple way to get your smart home up and running, and you can still extend it to use things like openHAB in if you want! Have you ever looked at Hubitat? Very similar to Smart things but with local processing. Why didn’t you bother to actually show how you install the V3 hub. FYI I just purchased a V3 hub and find out via Samsung support that unless you have a S7 phone or newer you can’t use the App to install it, as it won’t even be seen in the PlayStore. I have a Note 3 and apparently this is a fact. Support also tells me that that the ONLY difference in V2 & V3 is that they dropped the battery backup in V3. What Samsung idiot thought this was progress? Is V3 hub compatible with v2 sensors? 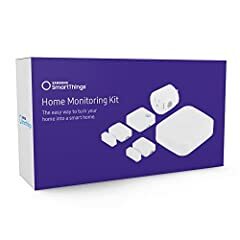 Or do we have buy all new SmartThings sensors? 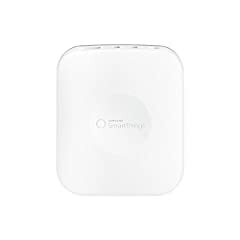 Hi Yoyo…It will be asome if you can make a video how to use Samsung Smartthings in LOCAL environment. I know they release some functions but there many doubt what will work or not. They just say try it!, but we are talking of a big budget here… it is not smart to do that. Another nice video can be to make a tutorial project with OpenHub from zero up to make an automation, maybe to turn a light on with a motion sensor. This will help to clarify a lot of things. 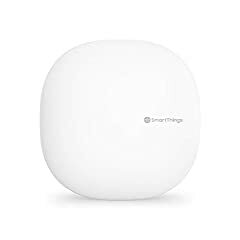 So I purchased the SmartThings hub version 3 as a way around Arlo’s failure to support their wire free HD camera on the google home platform. So I’m wondering if you have any advice for integrating these three components? My main goal is to be able to stream my Arlo Cameras on my chromecast, but I’m sure there is more out there. Without full local processing, forget it. Home automation hubs should not have cloud processing AT ALL! I wasn’t sure why the hub was needed as I have the SmartThings app coming with Samsung Galaxy S9+. Seems like that is not enough to control these sensors as those use some other protocols than simply being connected to WiFi. By the way, how can you set up sequences of actions when something is triggered? Is there a website where you can configure your brain with events and logical connections of actions? Thanks. Thanks for another great vid! Can you share some examples or generalizations for where OH would be an advantage over ST? Having never used ST, I am not sure where the limitations begin. Great video. I am buying Smartthings v3 now. My first home automation. Thanks for the video Bill. Sugestions for the next video with Smarthings v3 deep dive. (1) cover non usage of samsung sensors ( the offer is very limited and plugin them should be a no brainer, litle value add for the video) (2) Cover the openhab integration as you mentioned (3) Cover the IFTTT integration ( if possible) (4) Create a few rules to understand the capabilities. (5) mention a few concrete limitations vs openhab/ smart assistant (6)Smarthings App and Hub. Why both? In summary , a review of v3 in all its glory, what makes me buy this, invest time( even more expensive) instead of a Raspberry Pi3 with homeassistant/ openhab. Cheers and thanks for the video again. One question: does the v3 hub work in germany with zigbee products?